Good times, great music, worst burgers!! Actually, the burgers are AWESOME...so are the Reubens, Philly cheesesteaks, wings, dogs, salads & more! Over 40 types of beer & 100s of mixed drinks. Live entertainment 5 days a week! 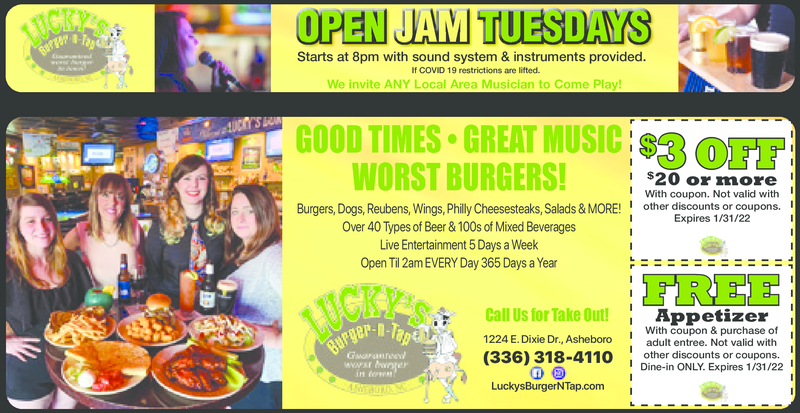 Come on out for OPEN JAM Tuesdays 8pm! We invite any local musician to play. Sound system & instruments provided.